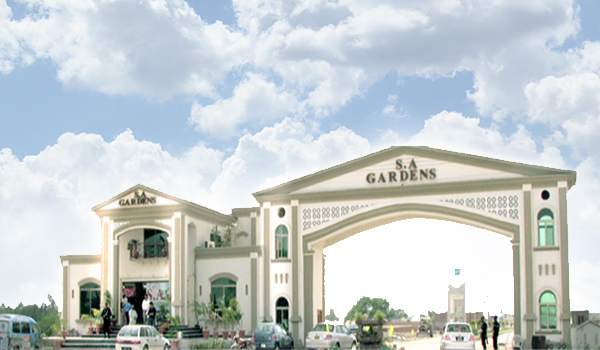 Located on Main GT Road near Kala Shah Kaku Interchange, SA Gardens is a residential enclave for those who are on the lookout for an affordable accommodation in a decent setting. Not only that, it is also an investment haven for those looking for handsome returns, as it has witnessed reasonable spikes in property prices and that too within only a short period of time. Now the developer is offering 1-kanal commercial plots on Main GT Road, providing brands, businesses and investors with a stupendous opportunity to score some excellent gains in the near future. Why did I call it a ‘stupendous opportunity’? According to an advert, a Metro Bus terminal will be built quite near SA Gardens, which most likely will increase the value of the locality. Furthermore, GT Road is used by a number of people every day – 1,000,000 according to one estimate. This factor also makes these 1-kanal commercial plots attractive for brands and retail outlets. The proximity of SA Gardens to Lahore, the second-largest city of Pakistan, makes this opportunity worth considering as well. I have not heard of any litigation issues in the area, which makes me believe investment in SA Gardens will be safe. Apart from this, SA Gardens is also an excellent locality for living, and ready-for-possession residential plots are available here at attractive prices. Where else would you find a 10-marla plot for Rs 1,500,000 in the property market of today? And being a resident of the society, you will have easy access to both Lahore and Gujranwala. I suggest you consider this opportunity, as I believe you will not regret investing in SA Gardens, InshaAllah. If would like to have a further discussion with me about the locality, I am here to chat with you in the comments section below.